Close on the heels of his starring role in the 2006 national tour of The French Lieutenant’s Woman, George Irving returned to the theatre for his next project. 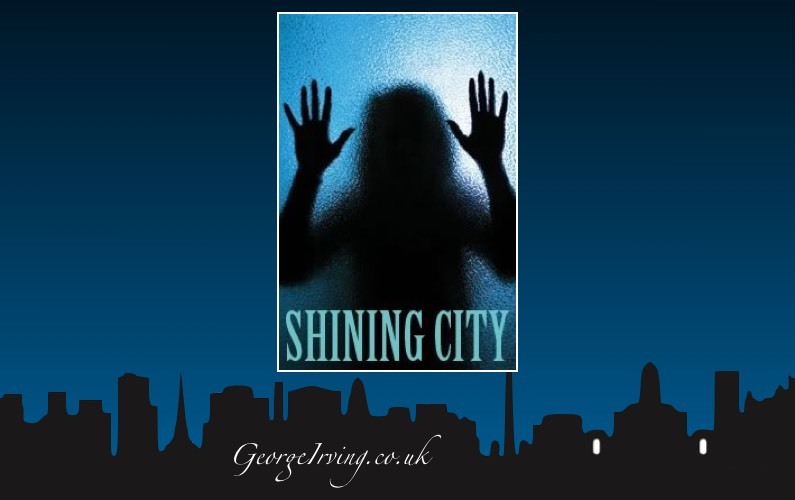 He starred in Shining City, a chilling urban ghost story set in Dublin. Shining City is written by Conor McPherson, the subject of critical acclaim for the National Theatre production of The Seafarer and the multi-award winning author of The Weir and Dublin Carol. Shining City tells the story of Ian, a former priest who’s leaving his vocation to be with Neasa, the mother of his daughter. In an attempt to support his new responsibilities Ian begins work as a therapist in Dublin. It is here he meets John who’s haunted by the ghostly figure of his wife, killed in a car crash. As John begins to open up Ian slowly comes to realize the parallels that exist between his life and John’s, both haunted by their own ghosts. In addition to George the cast of four included Paul McCleary, Mairead Conneely and Conor Michael Ryan. Previously playing to packed audiences in London, Dublin and on Broadway, it ran for three weeks at Bolton’s Octagon Theatre, from Thursday, 17th May 2007 to Saturday, 9th June 2007. 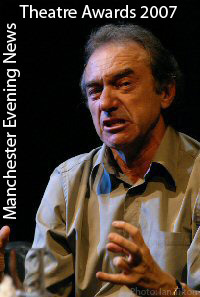 In November 2007 George was nominated in the Best Actor category of the Manchester Evening News Theatre Awards for his portrayl of John in Shining City. George’s nomination was one of eight for The Octagon Theatre in their 40th anniversary season. The awards ceremony took place on 5th December at a star-studded lunch in Manchester and … while “George Irving shone in Conor McPherson’s atmospheric ghost story Shining City” (Kevin Bourke) it was Elliot Cowan who won the Manchester Evening News Theatre Award for Best Actor for his performance in Henry V at the Royal Exchange. Writer Conor McPherson is best-known for his award-winning play, The Weir. He talks to Mark Lawson about his latest work, The Shining City, which opens with a man in Dublin seeking help from a counsellor – because he’s being haunted by his dead wife.